The owner of the Greenvale Hotel in Cookstown has spoken of the shock and sadness after the tragic events at the venue on Sunday evening. 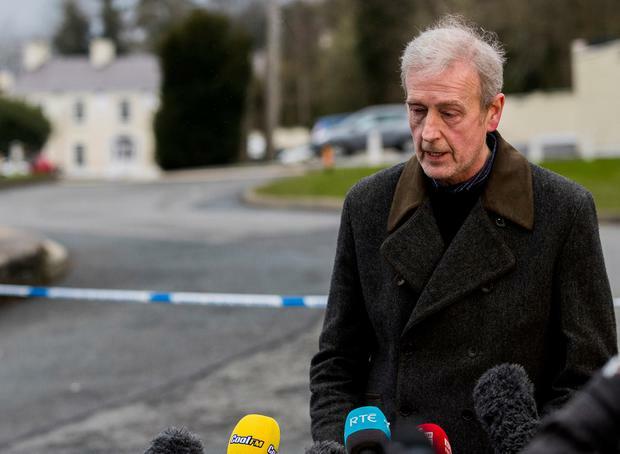 In a short but emotional statement, hotel owner Michael McElhatton said management and staff were assisting the police with their investigation. He performed CPR to those caught up in the incident. "We offer our heartfelt sympathies to the families and friends of the three young people who lost their lives. Our thoughts are also with those who have been injured or affected in any way by this tragedy. "The management and staff are assisting the police with their investigations." Cheerleader Lauren Bullock, 17, keen sportsman Connor Currie, 16, and Morgan Barnard, 17, from Dungannon in Co Tyrone, died in the incident. Police said it appeared that people had fallen and then been fatally injured in an apparent crush, but are still investigating the cause. Several hundred people were trying to get into the venue, Greenvale Hotel in Cookstown, Co Tyrone, after being dropped off by buses shortly before 9.30pm on Sunday. "Everybody did their best for them last night but it is a truly appalling incident. "Unfortunately three are dead. The last person died this morning, unfortunately, with his parents near him."